Driven by technical excellence, we are noted as the remarkable manufacturer, exporter, importer, distributor, wholesaler, trader and supplier of a sophisticated array of Prefabricated Work Shed. Used in commercial sector and industries, these workmen sheds are manufactured by our experts at our state-of- art manufacturing unit, utilizing superior quality basic material. Offered workmen sheds are thoroughly tested by our quality experts at our end, in ahead of their final delivery so as to ensure its flawlessness. Patrons can avail these workmen sheds at affordable prices. To cater to the requirements of our clients' consideration, we are actively engaged in providing a comprehensive array of Prefabricated Buildings. 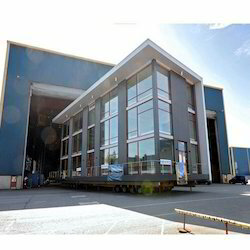 Offered prefabricated building is checked in terms of quality before delivering at customer’s end. This prefabricated building is manufactured from the high quality material & modern techniques, as per international quality norms. In addition, we provide this prefabricated building on several specifications for meeting the variegated demand of customers. Backed by continuous support of talented and experienced professionals, we are able to provide Prefabricated Metal Structure Roof. The given building is acknowledged in the market due to its high strength & ability to withstand weather conditions. This building is manufactured under the direction of experts in compliance with the set industry norms. Our offered building is quality tested on diverse parameters by quality controllers in order to assure its flawlessness. To retain our goodwill in the market, we are successfully engaged in manufacturing, exporting, importing, distributing, wholesaling, trading and supplying a comprehensive assortment of Prefabricated Office Buildings. We manufacture these buildings by making use of best quality of material & modern techniques keeping in pace with industry norms. 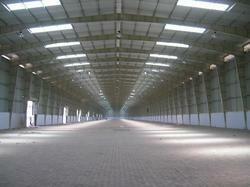 The buildings provided by us available on different specifications as per the needs of customers. 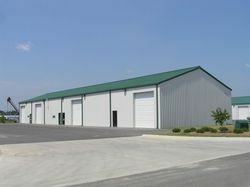 We provide these buildings in a given time frame at affordable price. 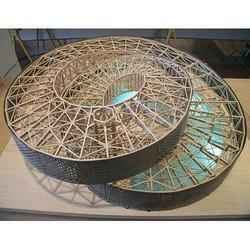 We are leading manufacturer and exporter of Structural Systems and our product is made up of good quality. Based finish so as to provide for reliable work performance support as demanded by the customers. Further, the use of premium quality structural steel frames and building materials also provide for optimum safety and durability support as desired by customers. 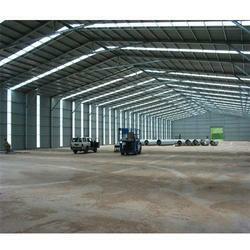 We have established ourselves as leading manufacturers, traders, distributors, wholesalers and suppliers of Warehouse Sheds in the market at present. The sheds designed by our skilled team are thoroughly checked on the parameters like dimensions, sturdiness and durability. These are made available to the customers at industry leading rates. These are provided as per the set industry norms and guidelines. These sheds from our side are provided in a number of different sizes in order to fulfil the varied need of our customers.